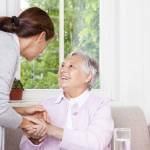 HomeInformationElderly Care – Strokes in the Elderly. As we grow older the chances of our bodies experiencing a stroke considerably increase. Recent research shows that a TIA Stroke is more common than a full stroke. A transient ischaemic attack (TIA) or a “mini stroke” is caused by a temporary disruption in the blood supply to part of the brain. The disruption in blood supply results in a lack of oxygen to the brain. This can cause sudden symptoms like a full stroke, such as speech and visual disturbance, and numbness or weakness in the face, arms and legs. However, a TIA doesn’t last as long as a stroke. The effects often only last for a few minutes or hours and fully resolve within 24 hours. Respond F.A.S.T to a TIA or Full Stroke. Being responsible for the elderly care of an aging parent or loved one, it is vital you are aware of all the possible medical crises that can occur. It is important to know the signs and symptoms of each individual problem, so that you can take the correct action as quickly as possible. This is where River Garden Care can offer a huge helping hand, we have carers with a wealth of expertise & knowledge to support those that have suffered from a stroke, from the onset through to recovery and then after care. Our trained staff are whole heartedly there to improve the wellbeing of our elderly. One of the medical emergencies that requires the quickest action on your part is a stroke. A stroke occurs when the blood flow is cut off to a certain part of the brain. The longer the blood flow is blocked, the more brain cells die, and the more damage is caused. In the United Kingdom, a stroke happens every forty seconds, and stroke is one of the top five leading causes of death in the country. S – Speech Problems – Slurred speech or difficulty saying words can be another tell-tale sign of a stroke. Try to have your loved one say a normal, everyday sentence. If they have trouble getting the words out, or their speech sounds sluggish or slurred, this means that something is very wrong, and should be attended to immediately. T – Time – This last one isn’t a symptom, it is an imperative. Time is of the essence when dealing with a stroke, as time saved is brain saved. If you notice any of the above symptoms, call 999 immediately. Do not hesitate, and do not wait. Tell the 999 operator that you suspect that your loved one is suffering from a stroke, as this may urge them to do all they can to get someone there faster, because they know how important it is to treat a stroke as soon as possible. If you suspect that your elderly loved one might be having a stroke, don’t waste any time in calling for help by calling the Emergency Services on 999, and always remember to think F.A.S.T. !